Another week has flown by, I'm not really sure where that one disappeared to. It's always the way isn't it, weeks you want to go slow go fast and others seem to go on forever! 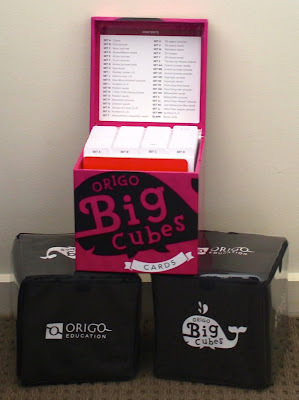 Today I am reviewing the final resource sent to me by Origo Education the Big Cubes and Big Cube Cards. This review is about the Australia resources, for more details on the US resources, please click here. 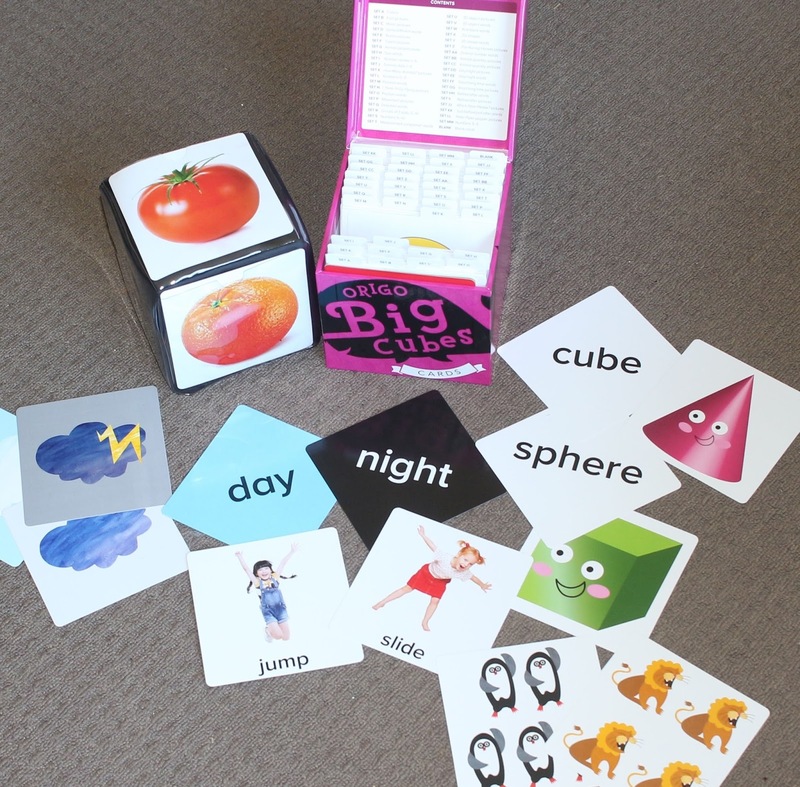 Above are the new Maths resources recently released by Origo Education for Early Learners. To read my other reviews on these resources, please click on the links below. Big Cubes and Big Cube Cards are the final products Origo Education shared with me. 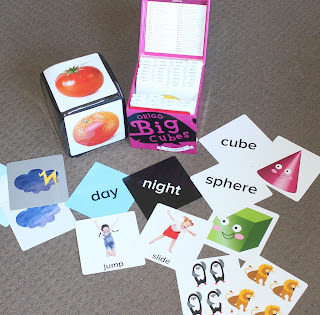 I didn't know what to expect with this resources, but upon opening the box was surprised by the quality of the cubes (pack of 2) and the variety in cards that could be used with this resource. Think a kid at Christmas time opening their favourite present - this was me! There were lots of "Wow", "Oh that's cute", "How handy would these be" - luckily only a little leaner was listening! Origo Education advertise this product as "the perfect resource to merge sensory play with basic mathematical concepts". 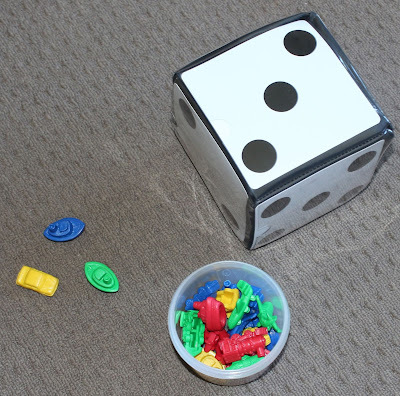 I could straight away imagine the students in a circle, ready to play and eagerly awaiting their turn so they can roll the dice. 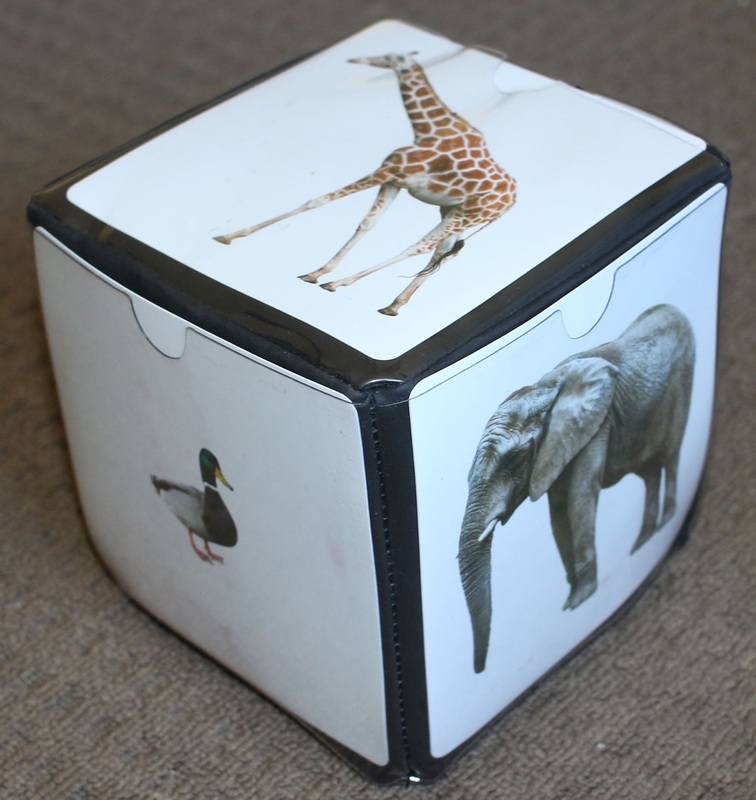 The cubes are soft, dark blue vinyl with clear plastic pockets sown onto each side. 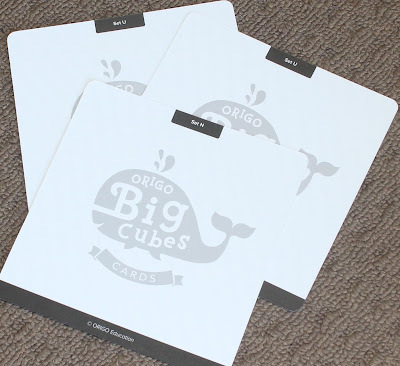 They measure 135mm cubed in size and the cards are slightly smaller. There are 39 sets (6 cards per set) of cards that can be placed inside the clear pockets of the cubes. Previously I have made my own cubes or covered up the numbers on a dice with pictures so I already knew the cubes themselves would be very handy. On first go I found the cards a little tricky to slide in (even though plenty of space has been left for the cards) but once I worked out the knack of getting them in straight it was much quicker. Thankfully, the cards are made of such sturdy card that I didn't bend or damage the cards in any way. 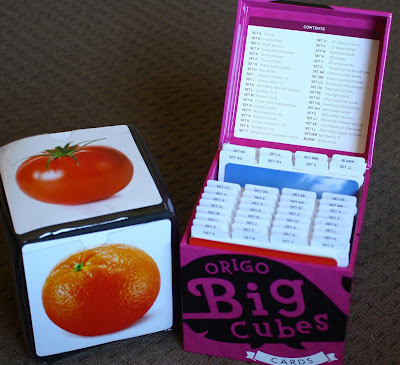 EDIT: According to Origo Education, use a tiny bit of talcum powder in each pocket when you receive your brand new cubes - it will loosen the pockets up to make initial sliding in and out of cards easier. The cards are stored in a very study cardboard box with dividers and an index on the lid (very user friendly). Some cards are black and white others are colour, it is really dependent on the topic. Each card has a set number on the back so they can easily find their way back to the correct location. 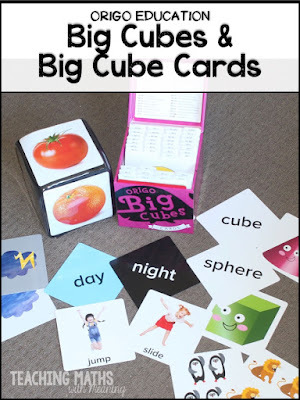 The cards are great for using in the cubes, but they are also perfect on their own as teacher prompts. 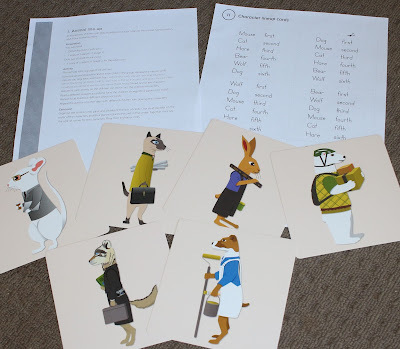 In some of the lesson plans children are just given the cards for small group discussion and activities. The reverse of each card, the set shown up the top in the centre. A sample of some of the cards. Each set contains 6 cards, only two are shown from the sets chosen. I love the variety between clipart, words and real photographs. Using visuals to infer is a developing skill still for our little learners. As with the other Origo Education products, you get access to the Slate Online Platform that can be access through Origo Education when you purchase the products. It looks a little different this time with all the different sets of cards listed down the left hand side of the screen. You select the card (with topic) and then the teacher resource downloads ready for you to read on screen or print. Activities to do with each set are comprehensive. 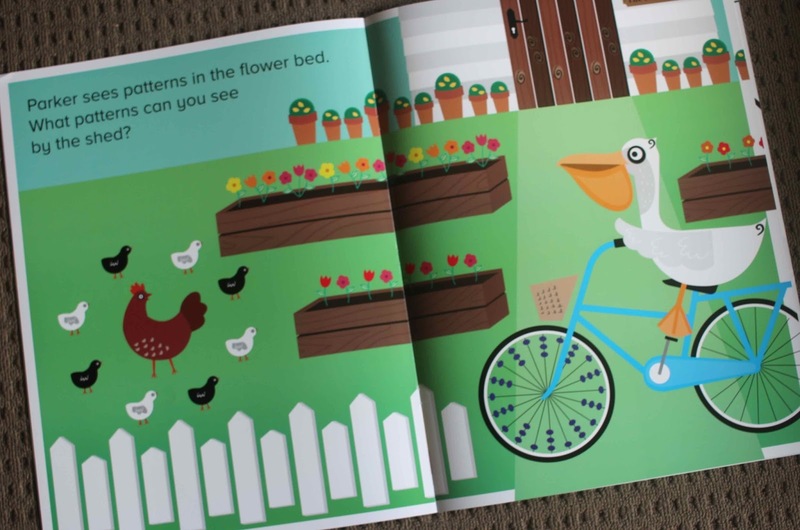 As with the Big Books, any additional resources required like worksheets, numbers, cut and paste activities are included with the teacher resources making this the perfect print and go resource. The number of activities provided for each set of cards varies depending on the visuals/words on the cards. Each activity is comprehensive with full teacher instructions. Set JJ with activity and resource for teachers. Some activities require additional materials but nothing that you wouldn't already have in your classroom. 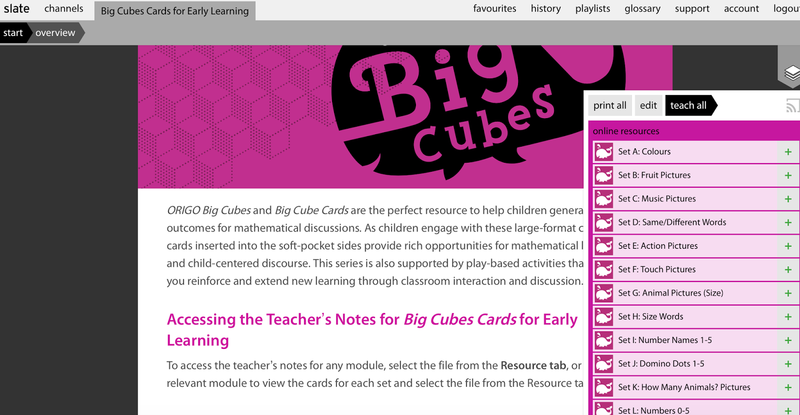 If you would like to see some lesson plans in detail, you can download a sample for the Big Cube Cards here. Do I like this resource? Absolutely. Would I use it in my Foundation classroom as well? Absolutely, at the start of the year or in intervention groups. Do I hope they bring out a slightly trickier version for Foundation classrooms? ABSOLUTELY! 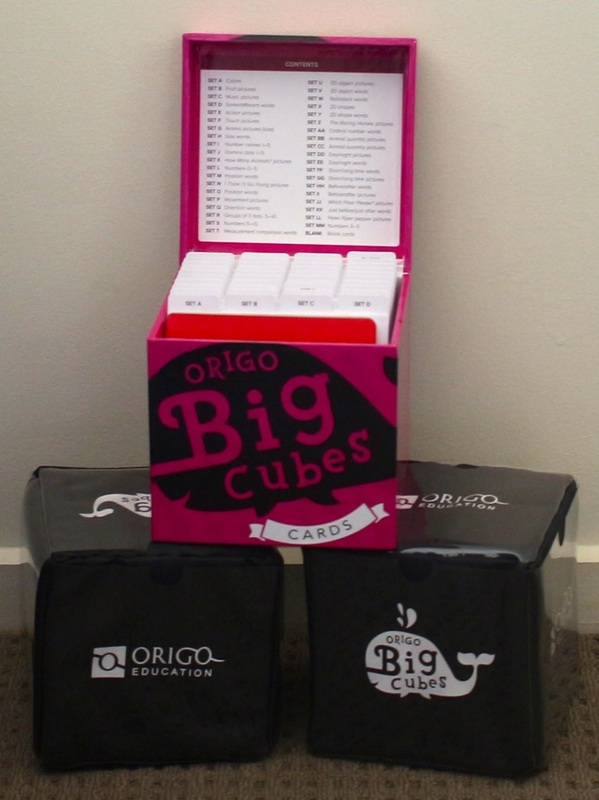 If you are interested in finding out more information about the Big Cubes and Big Cube Cards you can click here. 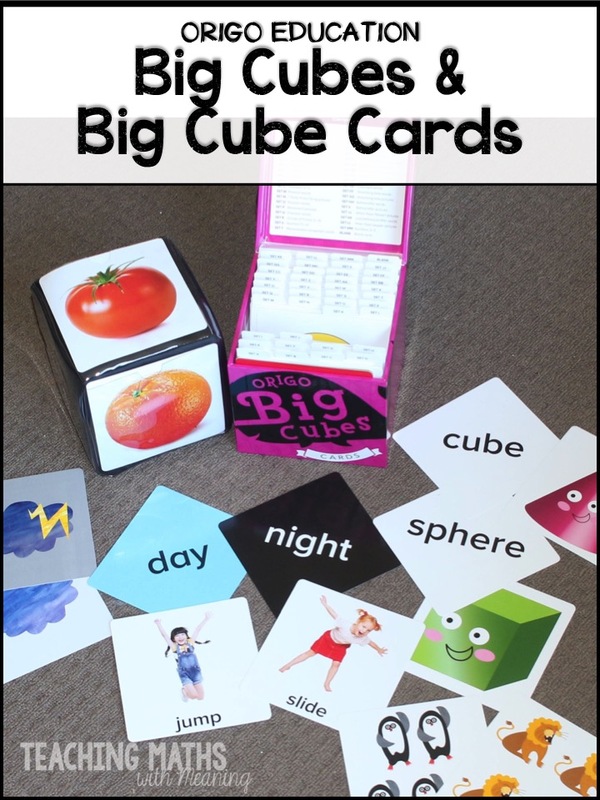 You can purchase the whole resource as a pack (2x Big Cubes plus Big Cube Cards) or the Cards and Cubes individually. 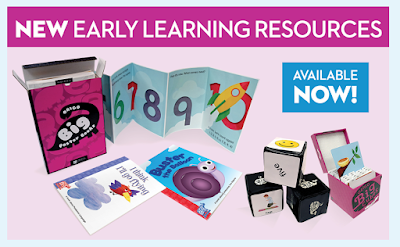 I have no doubt that all three new Early Learning resources from Origo Education are engaging, well designed, extremely valuable and would assist in developing children's understanding of maths terminology at an early age. One of my favourite things about all three resources is the bright, colourful, well thought out images. Children at this early stage are such visual learners that it is important that visuals aren't overstimulating or confusing - all are absolutely perfect in my eyes. Knowing that all children develop at different speeds, some pre-school centres may find these resources beneficial while also some primary schools. With my primary school teacher hat on, I love the flexibility in designing your own lesson plans around these resources or following the comprehensive ones online. Perfect for teachers at any stage in their career. When you purchase all three Early Learning Resources (as shown in 2nd photo), Origo Education email out a document outlining which Poster Books, Big Books and Big Cube activities align with each other. 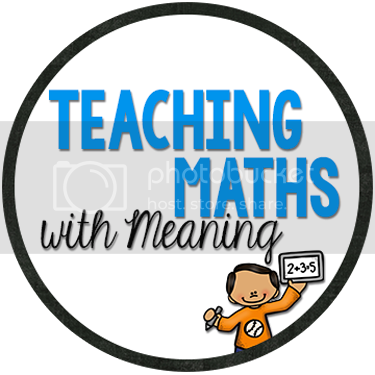 As previously discussed, all resources can be used in isolation or in conjunction with each other, depending on how much time and other resources you have to teach the maths topic. If you choose to go down this route, Origo Education will help you with the applicable resources. If I only had a little bit of money left in the budget for the year and needed to choose one of these resources to buy, it would definitely be the Big Books. Definitely a favourite in my mind, and best of all they are available up to Year 2 so perfect for many different year levels. 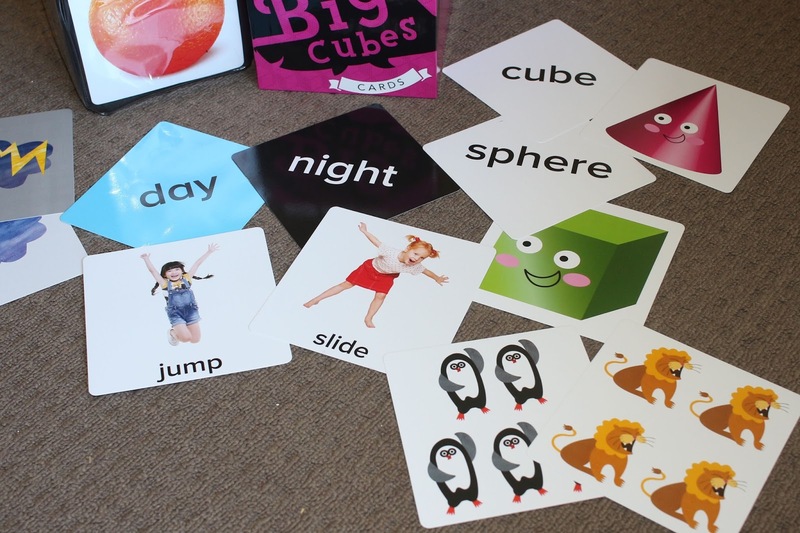 I have thoroughly enjoyed reviewing the Origo Education Early Learning products and have felt privileged to have had the opportunity to get a sneak peak at these new products. Please let me know if you have any questions.